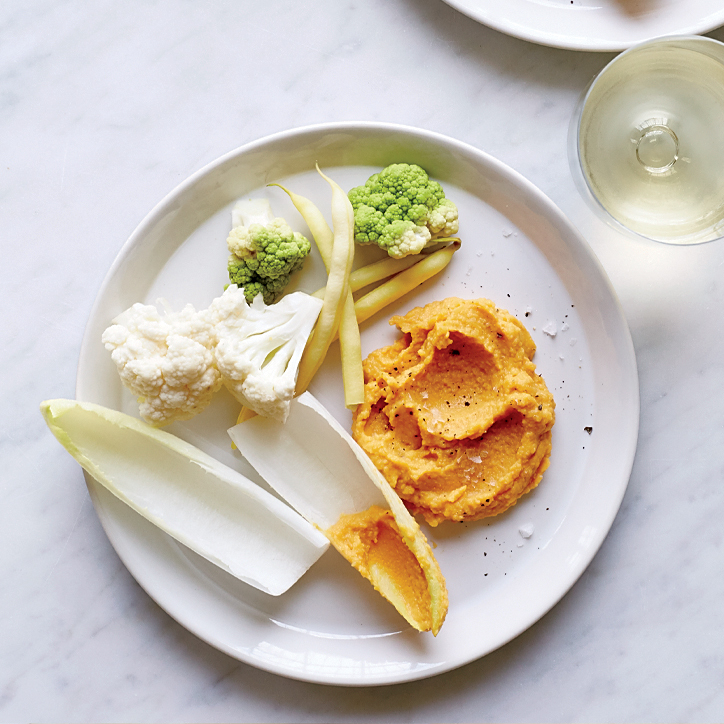 F&W's Justin Chapple shares the best recipes for using canned pumpkin, perfect for Thanksgiving sides and appetizers. 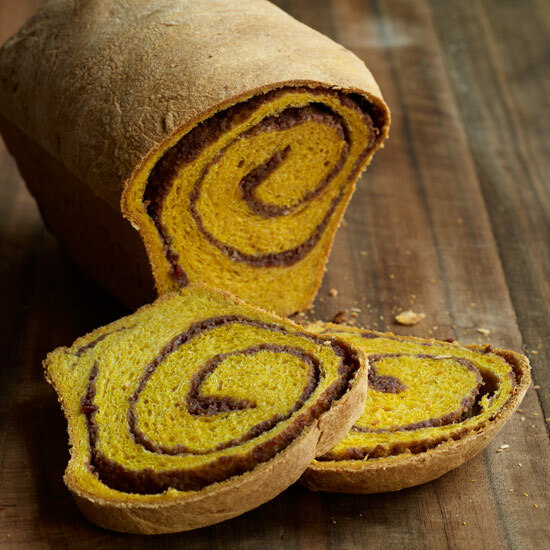 In a large bowl, beat two 15-ounce cans pumpkin puree, 2 cups mascarpone, 1 1/2 cups confectioners’ sugar, 1 teaspoon pumpkin pie spice and 1/4 teaspoon salt until thick. In another bowl, beat 2 cups each heavy cream and mascarpone with 1 cup confectioners’ sugar until soft peaks form. 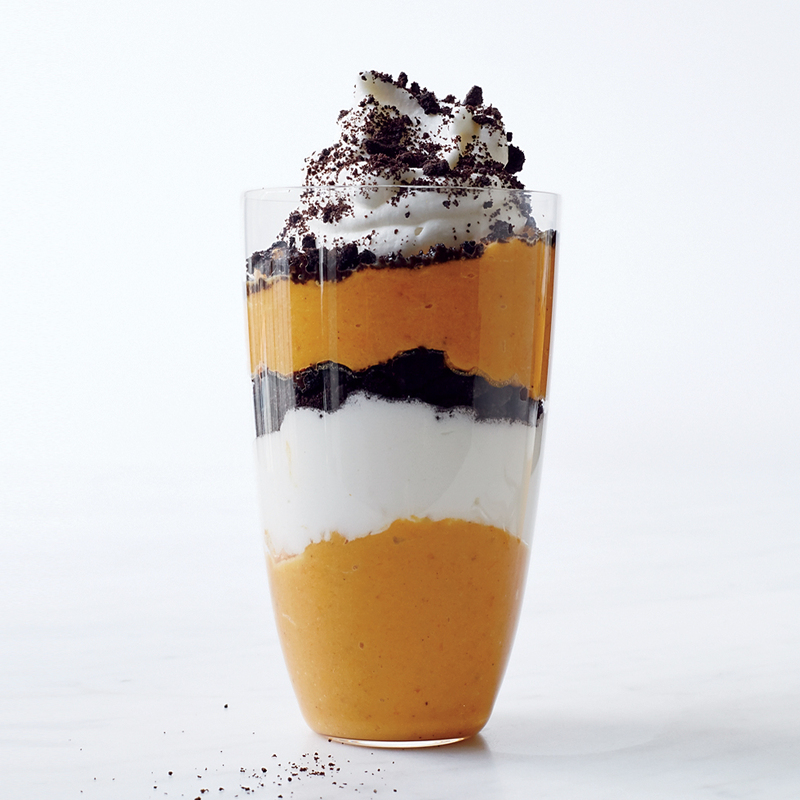 In 12 tall glasses, layer the pumpkin and cream with crushed chocolate wafer cookies. Makes 12. 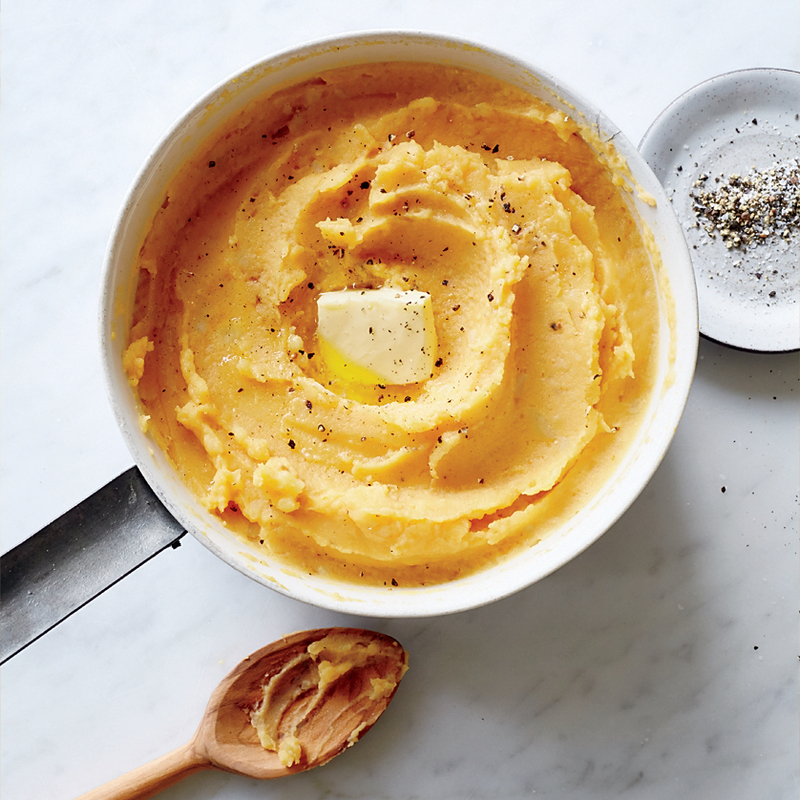 In a food processor, puree two 15-ounce cans drained and rinsed chickpeas with 1 cup pumpkin puree, 1/4 cup lemon juice, 2 small garlic cloves, 1/4 teaspoon cayenne and 1/3 cup water. Season with salt and pepper. Makes 3 cups. In a large saucepan, boil 4 pounds peeled 1-inch cubes of Yukon Gold potatoes in salted water until tender, 20 minutes. Drain well. In the saucepan, melt 1 1/2 sticks butter in 2 cups milk; add 1 1/2 cups pumpkin puree. 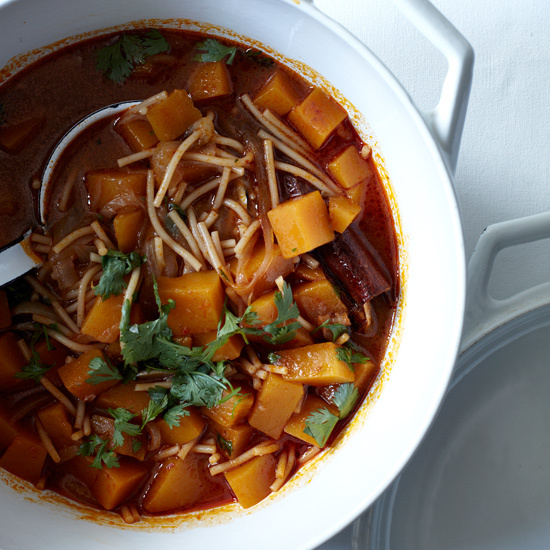 Press the ­potatoes through a ricer into a bowl and mix in the pumpkin mixture. Season with salt and pepper. Serves 10 to 12. In a saucepan, melt 1 stick butter with 1 tablespoon crushed chai tea. In a bowl, whisk 2 large eggs, 1 cup each sugar and pumpkin puree and the melted butter. Whisk in 1 1/3 cups all-purpose flour, 1 1/4 teaspoons baking soda and 1/2 teaspoon kosher salt. 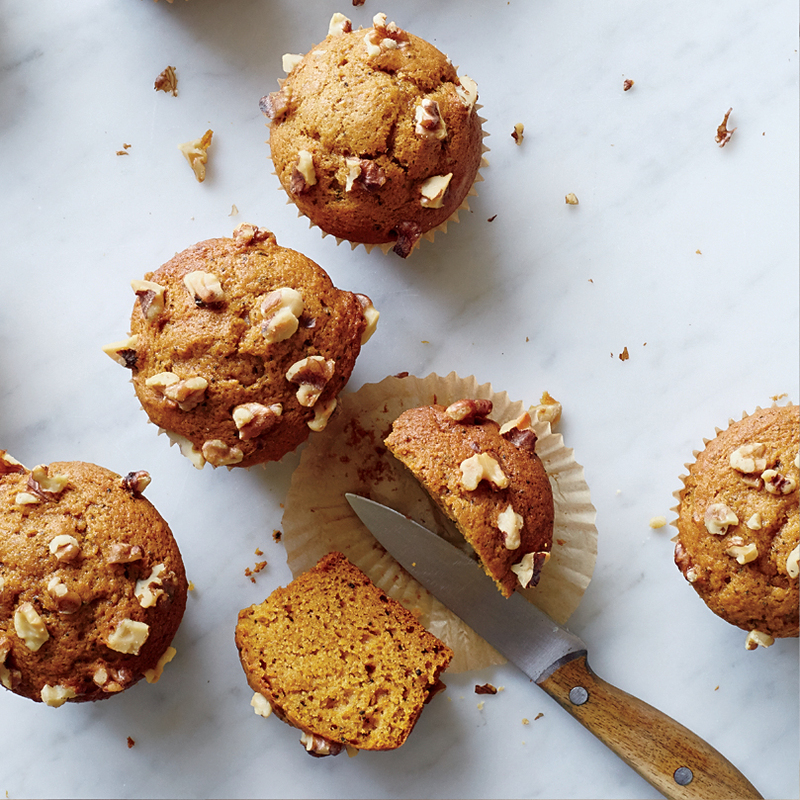 Spoon into a 12-cup lined muffin pan; top with 1 1/2 cups chopped walnuts. Bake at 350° for 20 to 25 minutes. Makes 1 dozen.